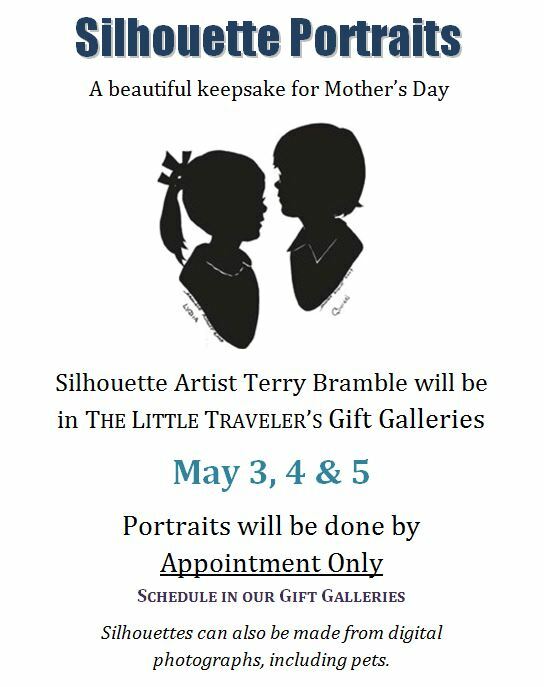 Silhouette artist Terry Bramble returns to make beautiful keepsakes in time for Mother's Day gift giving. Appointments are required. Call the store and ask for the Gift Gallery to schedule your appointment. 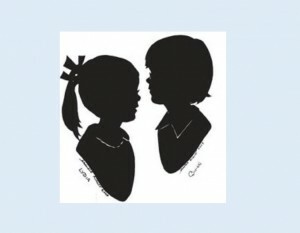 Silhouettes can also be done from photographs, including pets. Original silhouette $35; additional copies $17. Oval frames available at a 15% discount during event (includes framing).